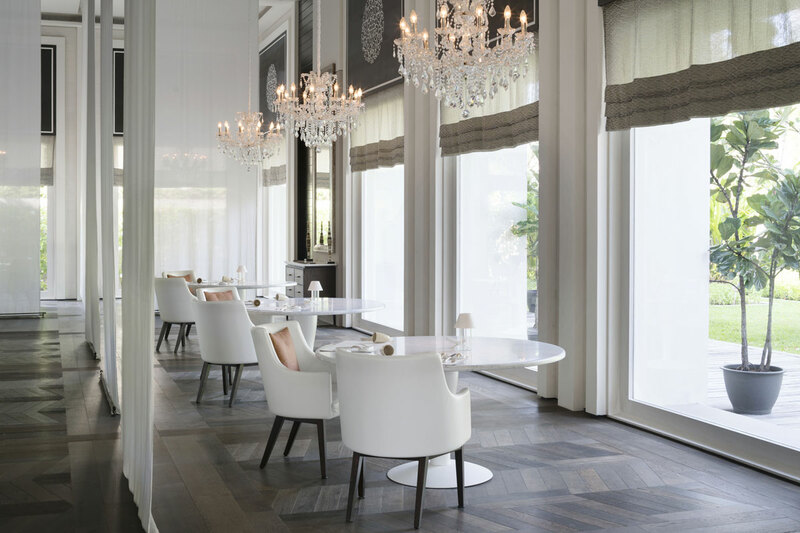 Cheval Blanc is the luxury hospitality brand developed by LVMH Hotel Management. The group began with Cheval Blanc Courchevel, followed by Cheval Blanc Randheli and Cheval Blanc St-Barth Isle de France. Other confirmed projects include La Samaritaine in Paris and Oman. LVMH Hotel Management has complete ownership of the brand; its direction, design, service and management, led by its own, dedicated in-house team. 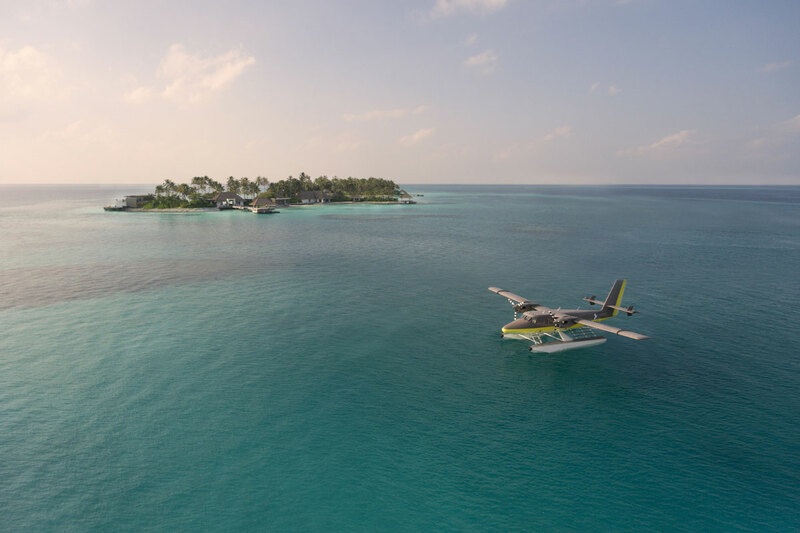 Cheval Blanc Randheli is an intimate and contemporary haven on the unspoiled Noonu Atoll, a 40-minute journey north of Malé, which guests will enjoy in the Maison’s own bespoke seaplane for an exceptional holiday start. 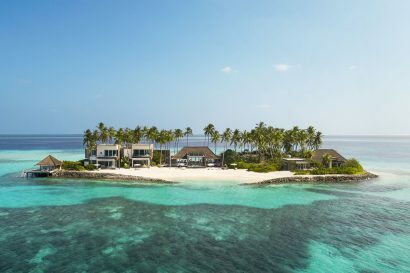 The opening of the 45-villa Cheval Blanc Randheli complements the group’s Alpine Maison, Cheval Blanc Courchevel, by offering a stylish design and relaxed, friendly atmosphere, now in the serene setting of the Maldivian archipelago. In 2013, the Maison completed construction and design. 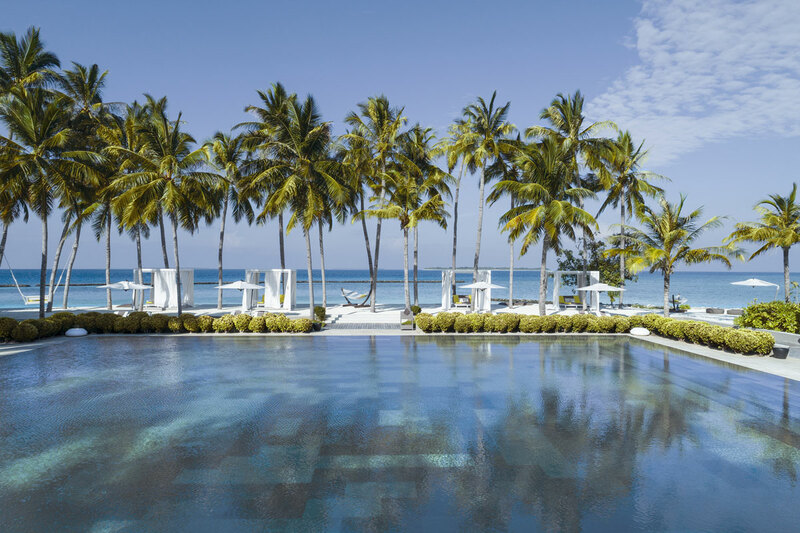 Elegant, refined and designed for stylish island barefoot living, Cheval Blanc Randheli is born from a creative collaboration with celebrated architect Jean-Michel Gathy. The Maison was conceived in synergy with the island’s natural surroundings, and striking architecture naturally blends with the island’s landscape, vegetation and lagoon views. Great attention has been given to the privacy of guests and ensuring a feeling of space. 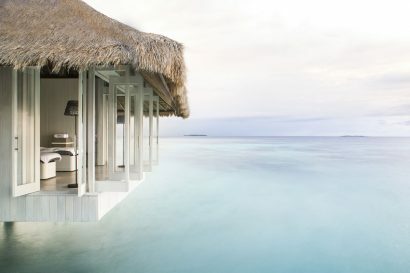 The Cheval Blanc Spa invites guests to a sensory journey on an exclusive island dedicated to well-being and relaxation. Guests may enjoy exclusive culinary experiences, either in one of the five restaurants and three bars, or by Carte Blanche in-villa tailor-made dining. In each villa, a Majordome looks after guests’ every wishes, whilst the Alchemists suggest tailor-made activities for unforgettable experiences. Located on the pristine Noonu Atoll, in a protected lagoon in one of the most sought-after Maldivian destinations. Noonu is the ideal playground for reef snorkeling, diving expeditions, watersports (wakeboarding, fun-tubing,etc ), fishing and sunset cruises. 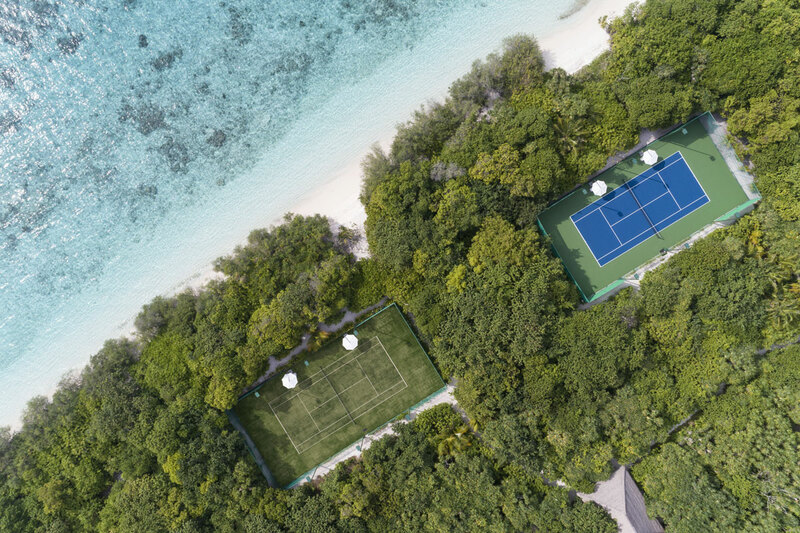 Guests may set sail for neighbouring island Maakurandhoo to play on the private tennis courts. Further, guests can perfect their golf swing in the golf simulator. The PADI certified Diving Centre invites guests to discover the unique treasures of Maldivian submarine life. Throughout the year, Cheval Blanc Randheli hosts exclusive events with the world’s most prestigious brands including those from the LVMH Group portfolio and up-and-coming artists. The Maison’s olfactive signature is ‘Island Chic’ a collaborative creation with François Demachy, head perfumer of Parfums Christian Dior. The Maison also invites children to play at Le Carrousel Kids Club’s pool or arts & crafts playrooms and Le Paddock Teens Club. This teenage lounge is equipped with a media lounge and table-football . In every villa, a dedicated Majordome looks after guests’ every desire. Thoughtful attentions embellish each stay, adorning everyday life and sparking the joy of surprise. Set amidst luxurious gardens, the 15 one or two-bedroom Island Villas, ranging from 240 to 300 sqm (2,580 – 3,230 sqft), are particularly suited for families. The main villa hosts a master bedroom and relaxation area with a daybed. The second bedroom with dedicated access features an en-suite bathroom and walk-in closet. Outdoor terraces allow for relaxation on the villa’s own private white sand beach. Perched on traditional stilts over Noonu Atoll’s translucent waters, the 4 Water Villas, each 240 sqm (2,580 sqft), offer an unforgettable living experience with endless views over the sparkling Indian Ocean. Generous overwater decks feature a dining pontoon, outdoor lounge and rain shower. Undoubtedly, an idyllic option for romantic getaways. 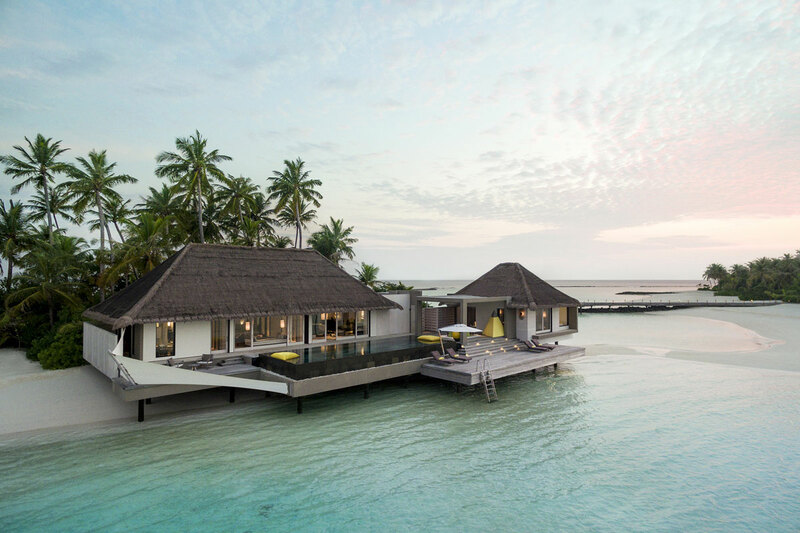 The stunning 11 one-bedroom Lagoon Villas encompass 240 sqm (2,580 sqft) of pure relaxation space. Perched atop traditional stilts over the calm waters of the Randheli lagoon, guests may relax in voluminous spaces and overwater decks including a dining pontoon, sun deck and an outdoor rain shower – a perfect hideaway for intimate escapes. Perched over the blue lagoon and opening out onto a lush private garden, the Garden Water Villa combines the ephemeral Maldivian stilt architecture with a sumptuous nature escape. With an idyllic second bedroom, some villas are suited for families with grown children or friends travelling together. The main villa boasts a light-filled living room with cathedral ceilings and adjoining powder room. A heavenly master bedroom features walk-in closets, a spacious bathroom with indoor and outdoor rain showers, a large bathtub and separate toilet. Certain villas offer a second bedroom with private entrance, grand ensuite dressing rooms, bathroom with rain shower as well as bathtub, and separate toilet. 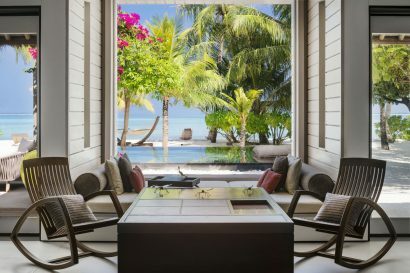 On the ample overwater decks, the Garden Water Villas features a dining table with sunken benches and a blissful outdoor lounge with armchairs and loungers, an outdoor rain shower and 12.5-metre-long private infinity pool. In the gardens, plush ottomans, chairs and a tranquil hammock invite guests to immerse themselves in Maldivian serenity. Perched on stilts between gardens and sparkling lagoon waters, the 4 two-bedroom Lagoon Garden Villas (355 sqm, 3,820 sqft) are true expressions of island living. A private garden and overwater deck host a private dining pergola, an outdoor lounge and rain shower. The second bedroom hosts airy volumes with an en-suite bathroom and a walk-in wardrobe. 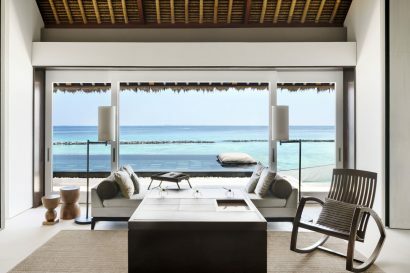 Subtle blending of Maldivian inspirations and contemporary sensibility. Loft-style villas with impressive volumes and architecturally striking 7-metre-high doors. Private 12.5-metre infinity pool for every villa. Multiple outdoor relaxation spaces with a day bed, shower and dining areas. 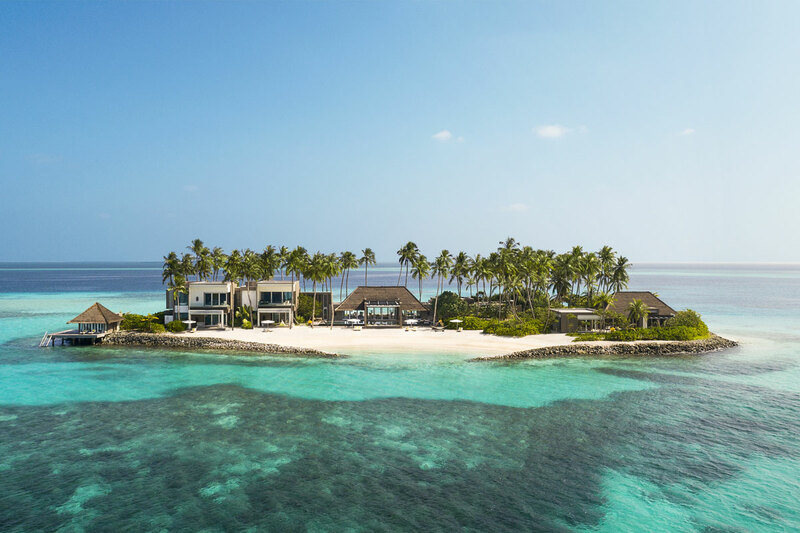 Find a haven of tranquillity in the Cheval Blanc Randheli Private Island atop a stunning 1-hectare private island. Accessible by a private Maldivian Dhoni boat, guests are transported to this 4-bedroom hidden paradise. 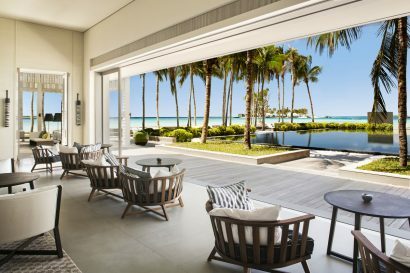 In a high-design style, the villa blends the interiors with exteriors, celebrating island living with three successive indoor living rooms, and multiple outdoor relaxation areas. With a dedicated fitness centre, spa treatment room and stunning 25-metre infinity-edge pool, the main villa and guest villa are an ideal retreat for friends and family. With a dedicated team of Cheval Blanc Majordomes, every detail is looked after for stay of unforgettable memories. Named after Château Cheval Blanc’s most sought-after Grand Cru, here Executive Chef Laurent Chancel revisits French culinary know-how with local inspiration in a 9-course tasting menu that evolves on a weekly basis. The adjoining 1947 Bar proposes live piano entertainment, a Cigar Lounge and views of the impressive Wine Museum. Relaxed and contemporary, the White offers a brasserie-style cuisine. Its terrace, with views over the coral reefs, is the perfect place to relax at any time of the day. A live-cooking theatre with a split personality, serving the finest Japanese cuisine alongside East-Asian gastronomy. A lively restaurant offering local seafood and Italian specialties in a relaxed alfresco environment, before transforming into an open-air late-night venue. A private dining space that celebrates the convivial art of eating together. Meal plan is only on a bed and breakfast basis. The Cheval Blanc Spa offers exclusive treatments by Guerlain created for Cheval Blanc Randheli. 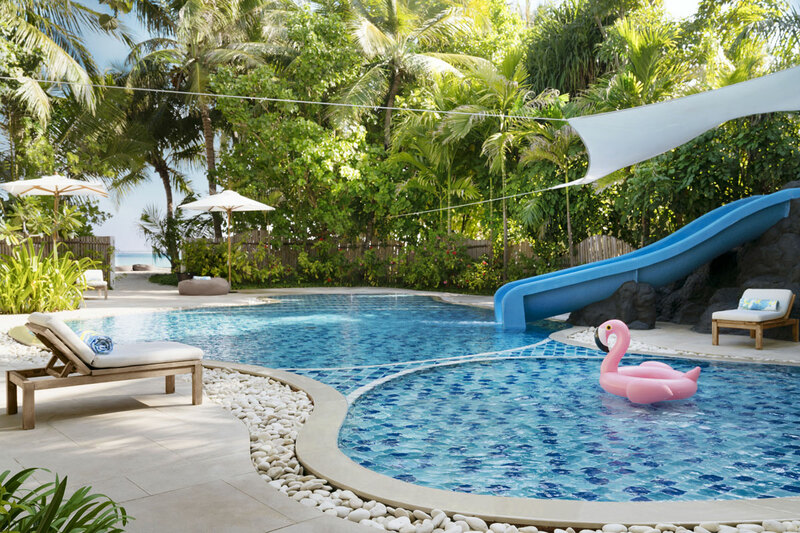 Four single and two prestige treatment villas for two – the Orchidée Villas. A stunning 625sqm infinity-edge main swimming pool. On the main island, the fitness centre is equipped with the latest Technogym machines. A personal trainer remains at guest disposal. Our Team of Alchemists ‘Experience Designers’ are here to design activities and experiences during guests’ stay and are in charge of making special arrangements for all celebrations as per guests’s wishes. 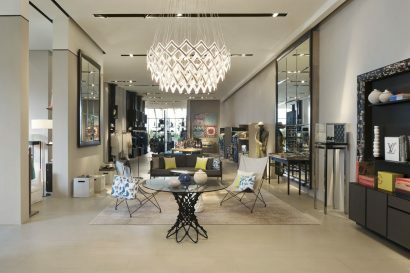 The Maison’s concept store is a treasure-trove of local curiosities and limited edition items from sought-after brands such as Hublot, Pucci or Bonpoint for little ones. Experiential dining provides guests with the ability to dine anywhere at any time. Chefs can cook in the dedicated outdoor dining pergolas of each villa, create a starlit beach BBQ, or cater to guests’ every whim by conjuring unique dining experiences in remote locations across the Maison’s islands.